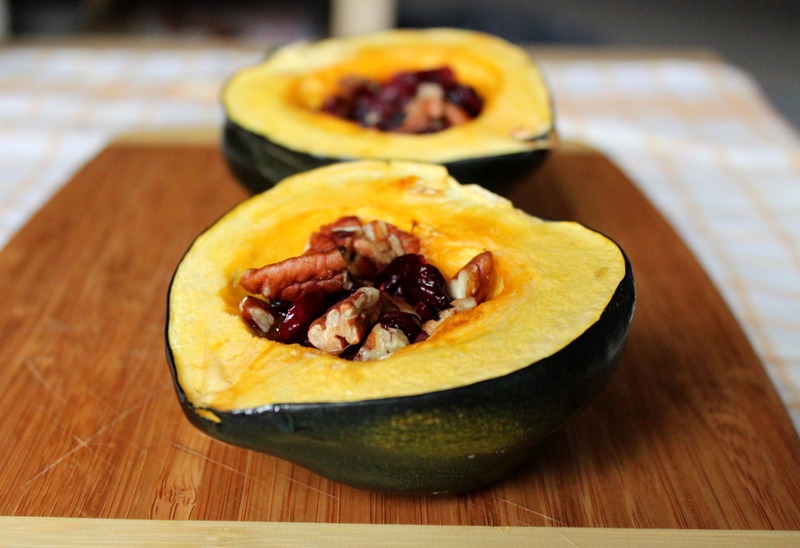 Cut squash in half; scoop out seeds and membranes then place, cut side up, in slow cooker. Combine remaining ingredients. Spoon mixture evenly into center of the squash halves. Cover and cook on LOW for 5 to 6 hours, until squash is tender. GREAT VEGETARIAN DISH OR SIDE DISH FOR GRILLED MEATS/FISH/POULTRY!